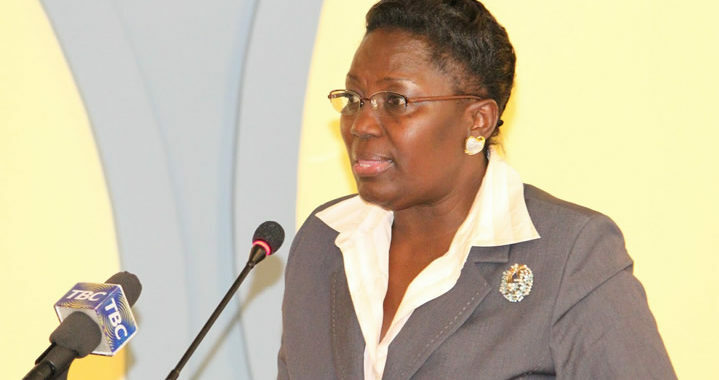 PARLIAMENT – The Speaker of Parliament, Rebecca Alitwala Kadaga has assured the public that by Independence Day, the Administration of Justice Bill will have been debated. Independence Day is October 9. Kadaga made the remarks at the launch of the third Uganda Law Society (ULS) Rule of Law Report at Serena Hotel this morning. The Speaker urged the army to have the General Court Martial proceedings outside barracks to enable civilians attend as witnesses or spectators. The Uganda Law Society condemned the inhuman and cruel manner in which a section of Ugandans were mistreated mostly by security agencies during the Arua by-election campaigns. Over 30 people including Members of Parliament Francis Zaake, Robert Kyagulanyi, Kassiano Wadri, Paul Mwiru and Gerard Karuhanga were arrested after chaos erupted on the last day of the Arua municipality by-elections that allegedly culminated into the stoning of the presidential convoy. In the aftermath, there were ugly scenes as the suspects appeared in court limping whereas others had wounds allegedly inflicted out of torture by security agencies during and after the arrests. In their quarterly report covering the months of July, August and September, the lawyers noted that the way Ugandan citizens were treated in Arua was appalling. “Of particular note is the alleged torture of 33 Ugandans in Arua municipality and particularly Night Asara, a district councillor for Arua Hill division who for days passed blood in her urine after the torture, Caroline Nalubowa who was kicked repeatedly in the back and many others,” reads the report in part. The report also quotes the ad hoc Committee of Parliament tasked to probe the Arua chaos and the arrest of the legislators saying it was wrong for security agencies reportedly led by the Special Forces Command to torture MPs. The suspects in the Arua election violence were charged with treason in the Gulu chief magistrate’s court and are out on bail. The law society noted that there was a denial of constitutional rights to freedom, due process and fair trial to the 33 suspects as they were detained beyond the mandatory 48 hours. The President of the Uganda Law Society President, Simon Peter Kinobe said they would soon start private prosecution of people including UPDF soldiers and police officers involved in violation of human rights like it was in Arua. The report notes that the jurisdiction of the General Court Martial has been brought into question especially in regards to trial of civilians like Hon. Kyagulanyi and Boda boda 2010 patron Abdulla Kitatta. Kinobe said they would challenge such trials. Brig. Charles Wacha, the Director in charge of Human Rights Affairs in the UPDF defended the army’s trial of MP Kyagulanyi and other civilians saying their actions were legally backed by their act. Wacha cited a judgment delivered in 2012 by justices Stella Amoko Arach, Elizabeth Mpagi-Bahigeine and Jotham Tumwesigye that gave a go-ahead to the army court to try civilians. “The only problem is that many people don’t know how we operate but we are also your fellow Ugandans,” Wacha added.